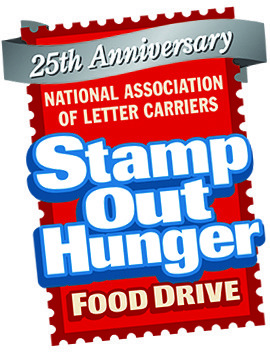 Stamp Out Hunger is a national food drive effort hosted by the National Association of Letter Carriers. On Saturday, May 13, letter carriers across Greater Cincinnati and Northern Kentucky will collect canned goods and other non-perishable food items from residents along their routes to benefit the Freestore Foodbank and some of its community partner agencies. Stamp Out Hunger is almost among the top three largest food drives to support our efforts. Local donations to the Freestore Foodbank through the 2016 Stamp Out Hunger food drive were the equivalent of more than 81,000 meals. For more information about Stamp Out Hunger, click here.